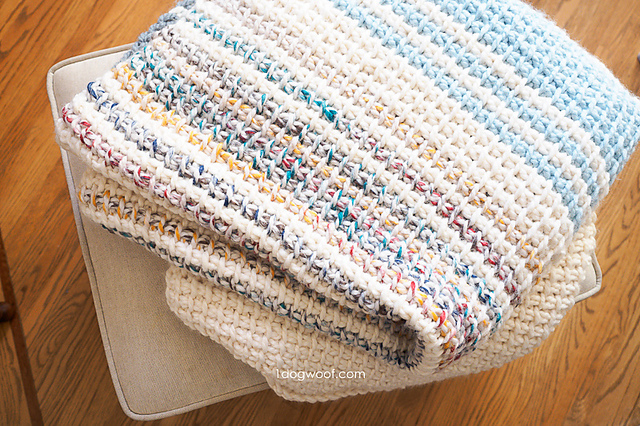 The simple and modern blanket pattern that you will make of Tunisian stitch. It’s very impressive and beautiful. The pattern looks great. It’s a free pattern. The tutorial provides you with all the necessary information. The blanket is very warm and thick. It is ideal for all seasons. It is made in very subtle and delicate colours. You can change them if you want. 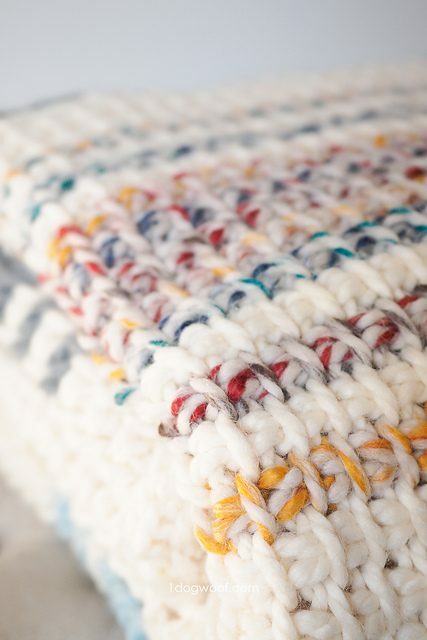 This pattern is the perfect gift idea for your loved ones. Suggested yarn is Lion Brand Wool-Ease Thick & Quick Solids. You can make it in any size. I strongly encourage you to create this beautiful design. Good luck!